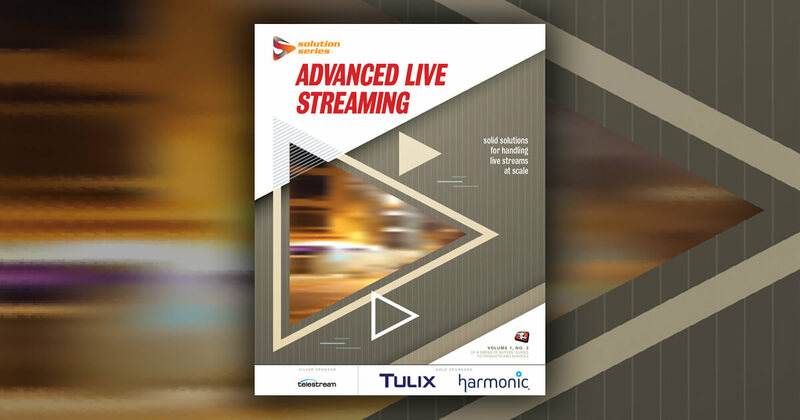 Learn more about enterprise streaming at Streaming Media's next event. Tim Siglin: Welcome back to the next to last or last interview of the first day of Streaming Media West 2018. I'm Tim Siglin, contributing editor of Streaming Media Magazine, and the founding executive director of the not-for-profit Help Me! Stream. And today, as almost every time we do one of these shows, I've got Chris Knowlton. Chris has been at a number of companies but I first met him at Microsoft, and Chris is now back at Microsoft. So Chris, what's the title and what's the role at Microsoft? Chris Knowlton: Technically, my title is Principal Lead Program Manager, which just means I manage other program managers, working on a product called Microsoft Stream. Tim Siglin: Interesting name. What is Stream? Chris Knowlton: Yeah, it's so self explanatory, isn't it? The way I think of it, there's a good story that ties in with Streaming Media. My first panel at Streaming Media was in 2007, and it was called YouTube for the Enterprise. Microsoft Stream is YouTube for the enterprise. It's a simple way to share content within the firewall securely, based on you being someone who signs in to get to your content or applications, like Office 365 applications. If you have an Office 365 account with a college or your business, then chances are you already have a Microsoft Stream account and could do live and on-demand streaming today. Tim Siglin: Interesting. So it uses basic things like LDAP authentication or active directory, and is it Azure-based? Chris Knowlton: It is. Everything we do is Azure-based. A few years ago something came out called Azure Media Services, based off some early things we had done with other companies, like NBC for the Olympics. With that, two and a half years ago they tried to do an experimental project to see if enterprises were now to the point that they would trust cloud computing enough to do their video in the cloud--because there's this great infrastructure that was just looking for customers--could enterprise make use of it? It worked so well that they quickly productized it and turned it into Microsoft Stream, instead of this experimental Azure Media Services project. Tim Siglin: You described it as behind the firewall, but obviously as a cloud-based solution, it's behind the firewall logically but not physically. Chris Knowlton: Maybe I should be clear. Basically, it’s secure content--stuff you don't want to necessarily share outside of your corporate boundaries, your virtual corporate boundaries. Tim Siglin: Which brings up an interesting question. There has traditionally been, in enterprise, that hesitancy to move beyond on-prem. And you're saying that two and a half years ago, they looked at this and they got enough positive feedback that they decided to productize it? Tim Siglin: And has that trend continued where they trust the security level of a cloud-based solution? Chris Knowlton: They do. A lot of companies today are starting to, just as they use in some cases Google suite, G Suite, or they use now Microsoft 365 online, and as folks get more and more comfortable putting their documents online and loving the ease of use of the collaboration when you have something in the cloud like that without having to set up racks of servers and hiring a bunch of people to maintain everything and do updates and all that. Just having it all done for you at a flat per-user fee is very attractive, and the same applies to video, especially if that video is now integrated into all those other Office applications. So, you want to drop a video in Word, or in PowerPoint, or in OneNote or what have you, that's just all part of it and it's seamless. Now you don't have to worry about third-party integrations, you don't have to worry about external servers and internal servers, it's just all one clean package. Tim Siglin: What about mobile users? Because obviously you've got Office 365 on iPad, iOS devices, some Android if I remember correctly. Tim Siglin: Does the Microsoft Stream part of that carry over into mobile as well? Tim Siglin: Nice. So, I guess the other question along those lines would be, how discoverable is the content? Because one of the things I found, and I'm going back probably 17 or 18 years doing work with enterprise, they had a limited amount of video content so you found everything by title searches, but now there's so much content, and one of the YouTube for the enterprise problems was discoverability, searchability, how have we progressed on that? Or have we progressed? Chris Knowlton: That is a really fair question. One of the things that we found back when I was working at Windows Media, was that rather than corporations rolling out content across a company, they would typically be silo-based. Marketing would have their content, engineering would have theirs, HR and legal would definitely have their own stuff. Their own server, their own setup, thou shalt not find it unless you're part of the team and you know where the server is. With Microsoft Stream, it's just all incorporated where you have enterprise-wide search. You could have a search box on, many companies have a web portal, go to the web portal and search for something. Well, now that search will include video results. And unlike just in the past where it might be a video title and maybe something from the description, all the information on Stream when you upload or stream using Stream, all that content automatically gets speech to text-converted, so now you have a full-transcript, full closed-captioning, and it's completely searchable by the search engine you're using. Tim Siglin: And when you find the word or phrase, it jumps you to that part of the video? Chris Knowlton: That's exactly right. So you can see it in the transcript if you have the transcript turned on to the right part of the video, you can see it in the closed captioning, but it allows you to see all the places where you can see that word was mentioned and you can pick the one that you want and go right to it. Tim Siglin: Okay, that's great for on-demand content, because it obviously takes quite a bit of processing to go ahead and do that analysis. What about live content? Tim Siglin: And then how long after the live event is done, would the full text transcript be available or closed caption? Chris Knowlton: Most of this happens when you're doing the transcoding and the on-demand content becomes available right after the live, so it would be available just after minutes after the live event ending. Tim Siglin: Including the speech-to-text conversion? Tim Siglin: Wow, okay. And that obviously harnesses the power, as you say, of a cloud solution, that you can throw a lot of processing at that. Tim Siglin: Interesting. Anything else to talk about from the Stream standpoint? Chris Knowlton: I think one of the interesting things that is probably underutilized but is interesting from a wow factor standpoint is that the other thing that we do when we're doing that processing is that we also search for faces in the video, and we provide a timeline underneath the player showing the faces of all the folks who spoke, so if you know that Tim Siglin had this one point where they had a conversation 30 minutes in this 60-minute Q&A, you can search on the visual timeline for where both of their faces essentially appear on the timeline at the same time and you can go right to that spot. Tim Siglin: Interesting. Okay, wow, that's actually pretty clever. So, glad you're back and glad you're working on that, that sounds very intriguing. Beyond people who have an Office 365 subscription, is there a way to use that service standalone? Chris Knowlton: That's a great question. We have been offering standalone plans for folks who want to have that for a smaller organization where they don't do Office 365 perhaps, but they just want to buy Stream for their organization. They can do that again on a per-seat basis. We recognize that they already have a solution or enough onsite, on-prem licenses for software that they don't necessarily need to buy Office 365. Tim Siglin: Does the storage of the video count against the storage people have as part of their Office 365? Chris Knowlton: No. We offer 500 GB storage for everything corporation, as a starting place, and then 5 gigs for each user. So if you have thousands of users or whatever, that all gets pulled together. Tim Siglin: And that's included in that flat per-user price, that storage? Chris Knowlton: Correct. The storage is included. Tim Siglin: Chris, as always, very good to have you.